MoD Design Guru - Fresh Ideas + Cleverly Modern Design: What does Perlick refrigeration and Buster and Punch hardware have in common? What does Perlick refrigeration and Buster and Punch hardware have in common? At the Architectural Digest Show 2017 I was excited to see two of my favorite brands come together - Perlick and Buster & Punch. Both brands seems to be a perfect fit for their unique attention to detail and unrivaled quality! Perlick is celebrating its 100th anniversary of cool by delivering superior appliances essential to entertaining - like indoor and outdoor undercounter refrigeration, wine reserves, beer dispensers and ice makers!! Their products are designed to combine old world craftsmanship with innovate technology! 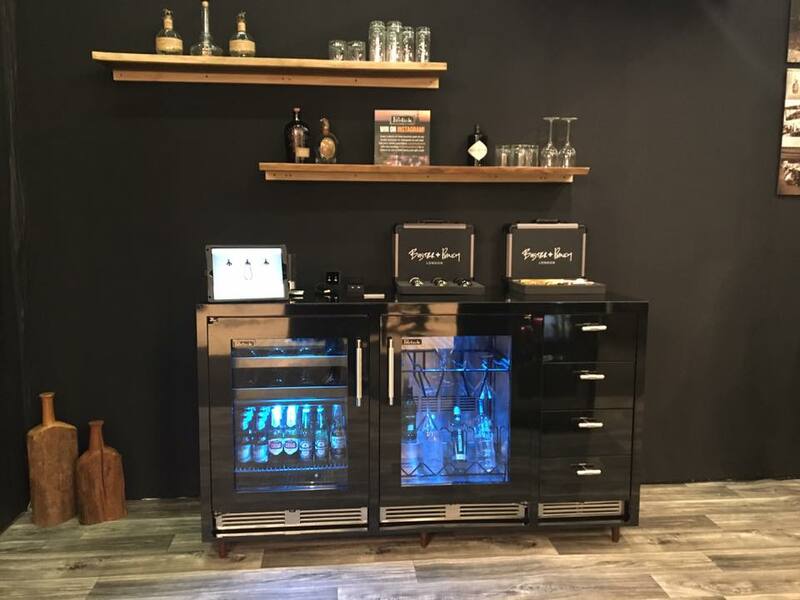 The 24" refrigerator and freezer door models are compatible with the Martini bar where you can either hang empty glasses or hold pre-made cocktails! Love it, especially with the blue glow- perfect for a party ambiance as shown in picture above! See the detailing of the Buster and Punch hardware. Above are their new line of switches. Perlick in their booth is showing how you can incorporate their hardware and unique lighting too with their beverage lines! 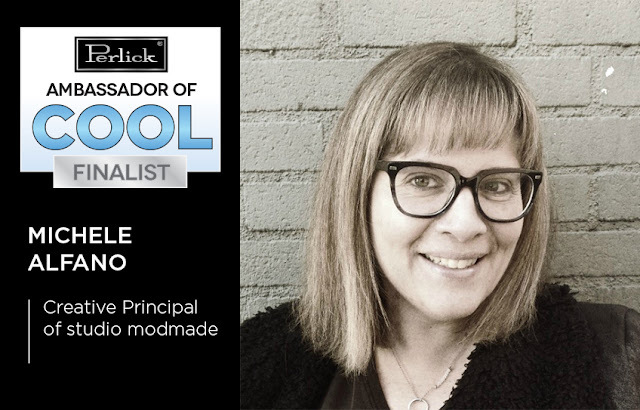 Even cooler, I am 1 of 5 finalists chosen for Perlick's Ambassador of Cool! To celebrate their 100th anniversary, Perlick took the show floor at the 2017 Kitchen and Bath industry show (KBIS) in Orlando to find their company's Ambassador of Cool for 2017. Each participant had to audition with Editor at Large at the show! I guess I rocked it since Im one of the finalists. I would love to hear from you- Shout out on Perlick's facebook page!